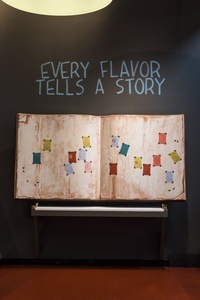 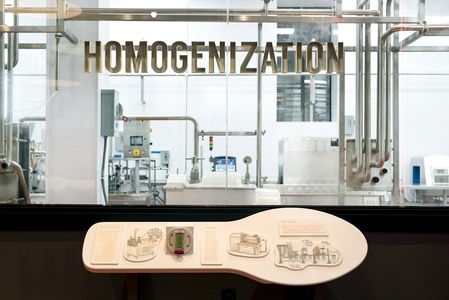 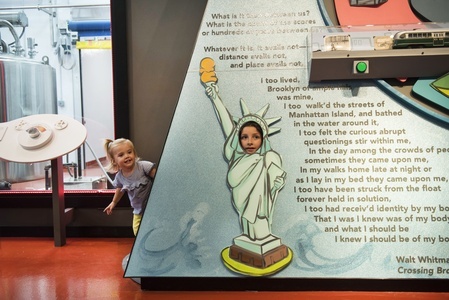 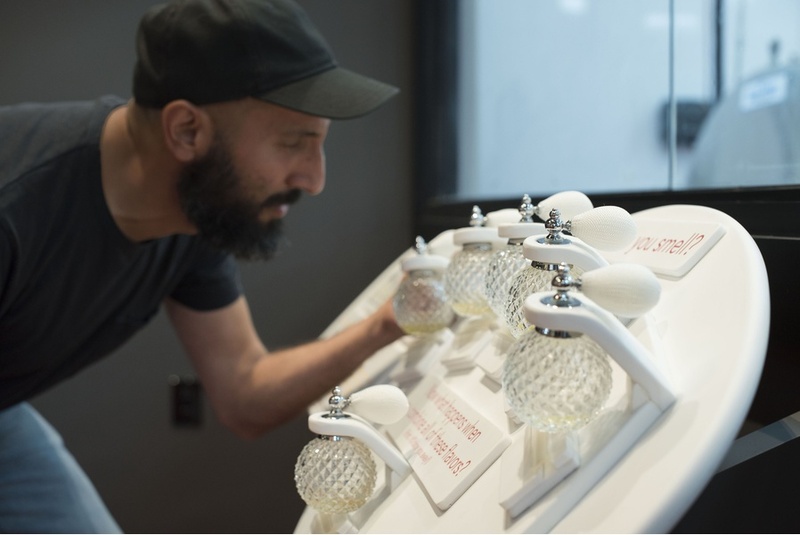 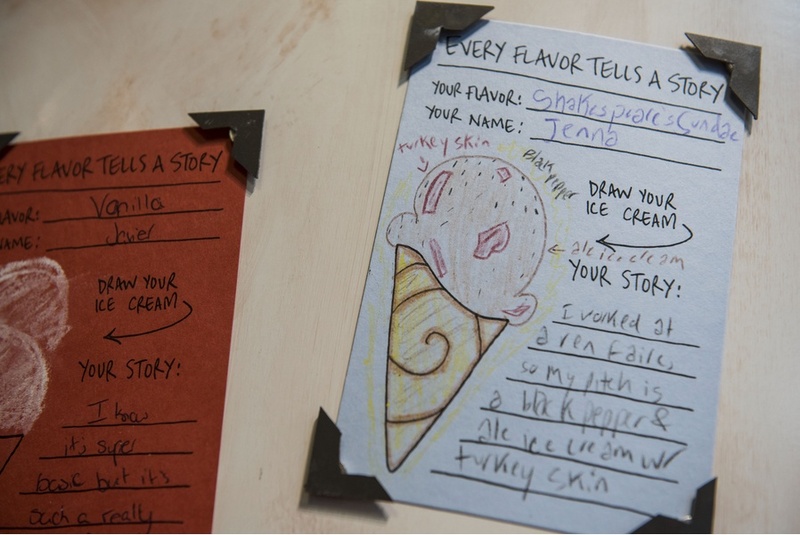 Storytelling plays a central role in the interactive ice cream museum designed by C&G Partners for the new Ample Hills Creamery factory in Red Hook, Brooklyn. 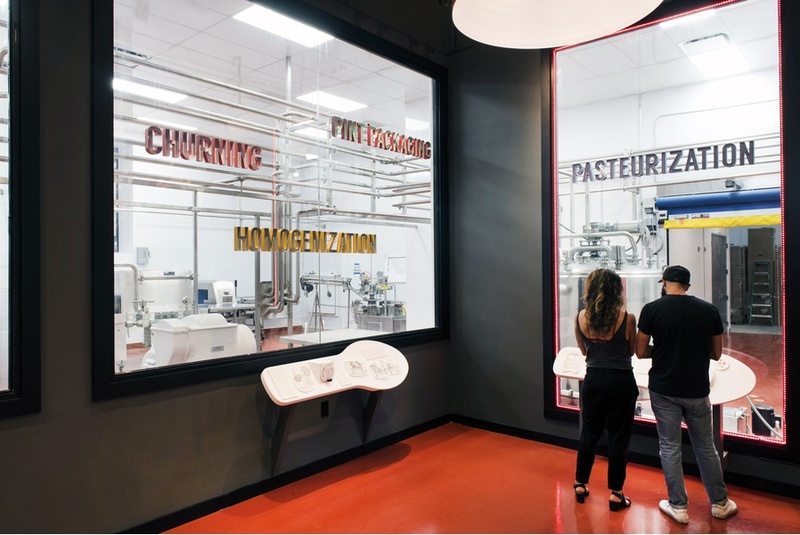 In addition to the factory production space, the location features an interactive ice cream museum, retail dipping counter, and expansive party areas. 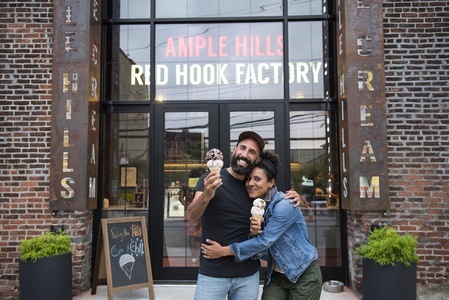 The visitor journey recounts how cofounder husband and wife duo Brian Smith and Jackie Cuscuna became ice cream purveyors, explains the manufacturing process, and highlights the fast-growing company’s local roots. 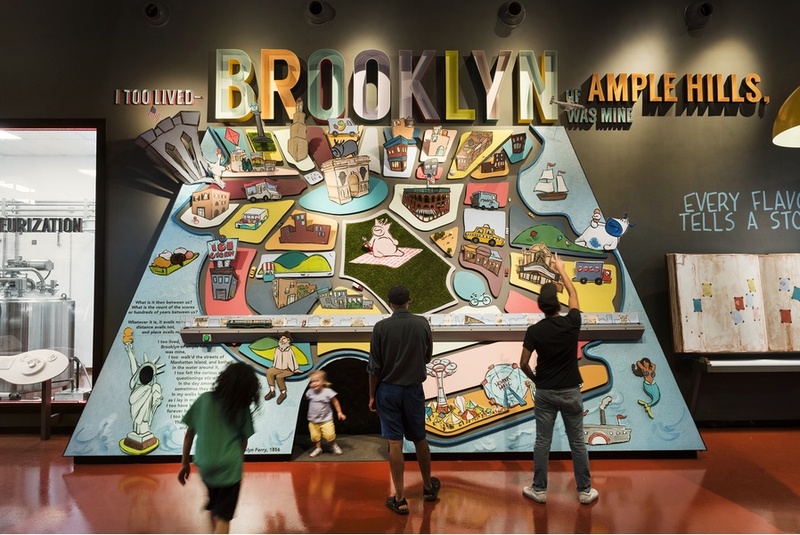 This includes a back wall graphic, incorporating the line from Walt Whitman’s Crossing Brooklyn Ferry that inspired the its name: “I too lived—Brooklyn of ample hills was mine.” The back wall also features a playful, wall-size relief map, a 22-foot, 3D sculpted surface populated with iconic Brooklyn images and Ample Hills Creamery mascots. 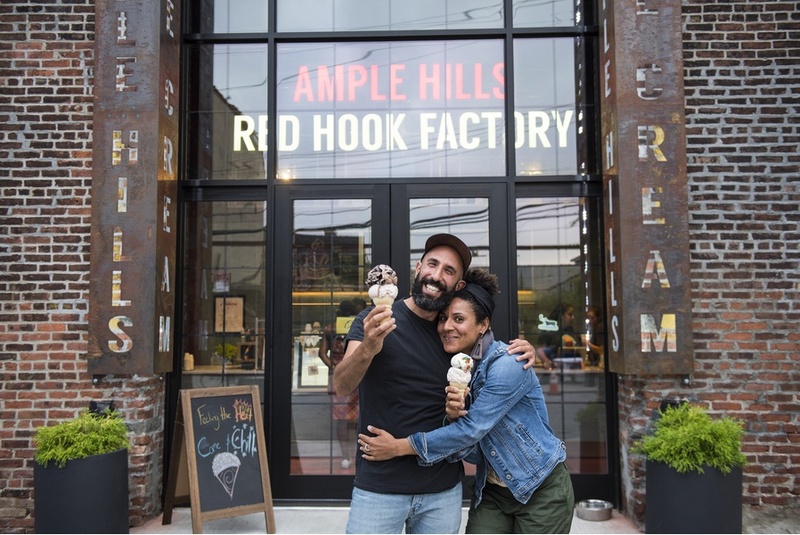 Entering the factory, the space opens onto the central dipping counter, crowned with a colorful Ample Hills Creamery gantry sign reflective of Brooklyn’s iconic rooftop signage typologies. 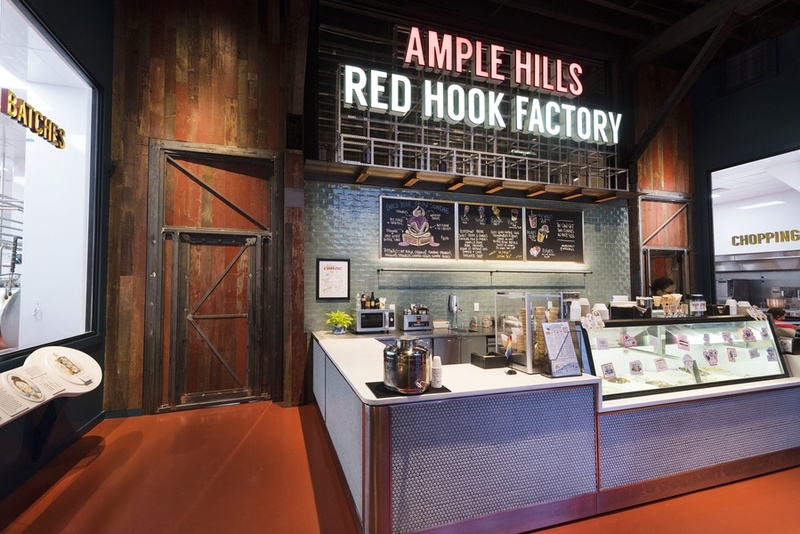 A miniature trolley runs across it, harkening back to Red Hook’s original train line. 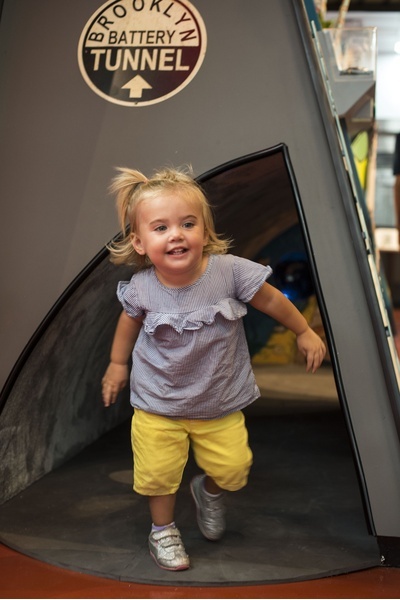 Behind this retail space, an ice cream museum area features numerous interactive elements and design details centered around a self-guided plant tour. Floor-to-ceiling observation windows serve as look-in points that flank each step of the ice cream making process, accompanied by interactive displays to bring the experience to life.